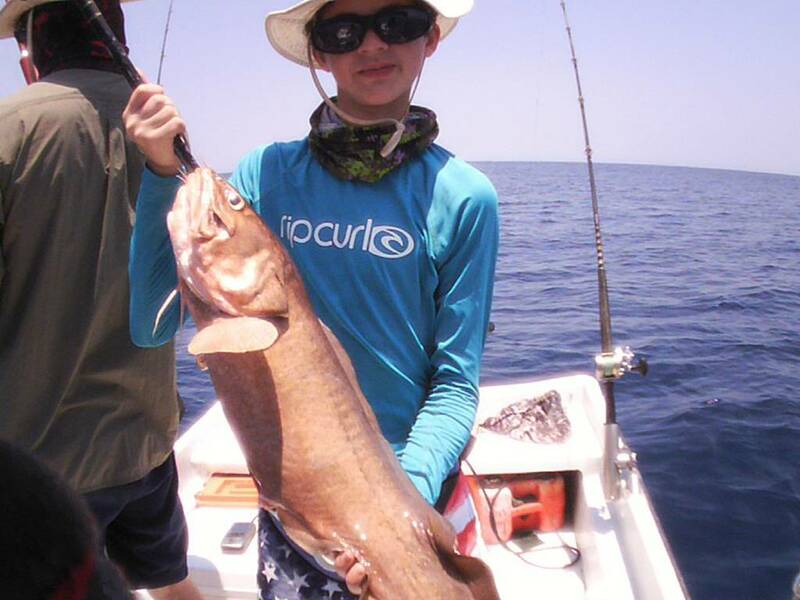 Captain Alex kept the Harvester inshore on the 19th. 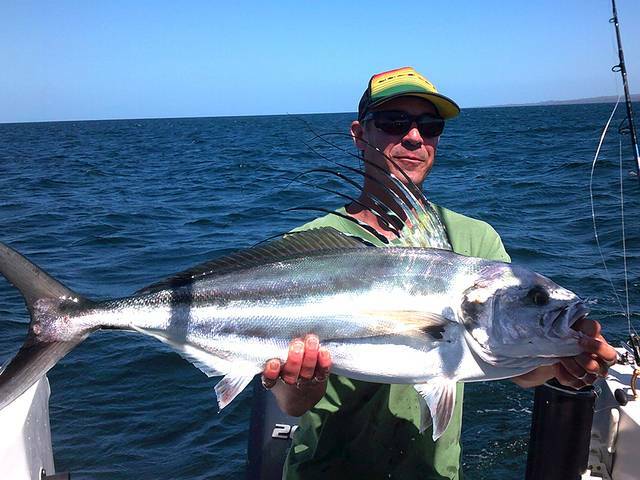 Chris and Charlotte Keane followed up their brilliant offshore success with some very unique catches. 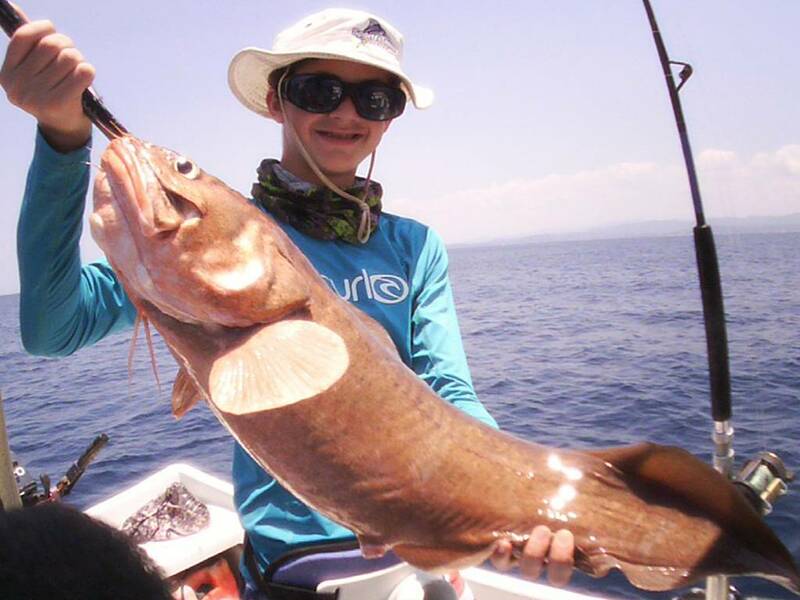 This Congrio is always a fun catch; this fish/eel hybrid yields a white lobster-like meat that is second to none. 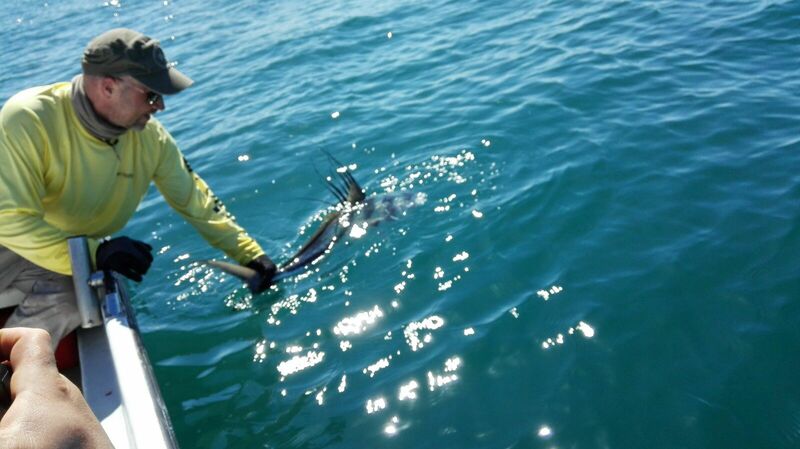 Also it provides a unique fight as it is one of the few sea creatures that can swim backwards. 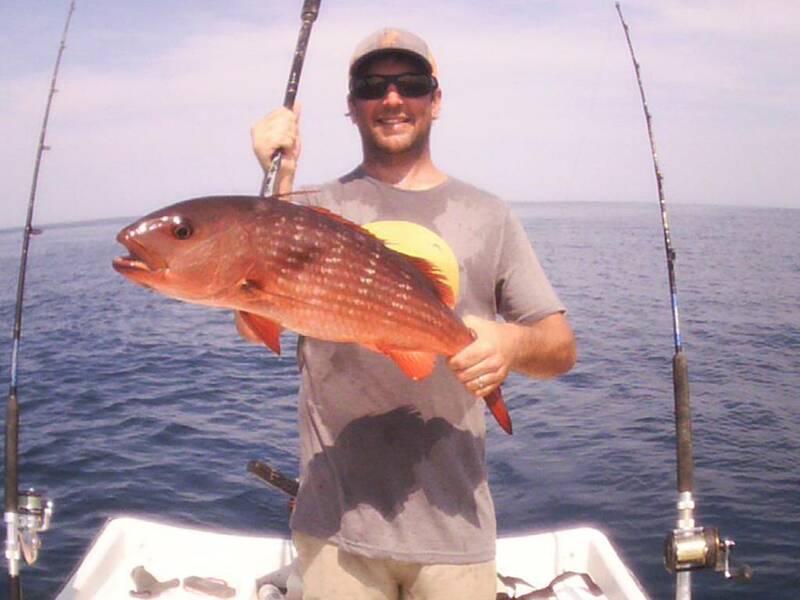 The rest of the day was dominated by Red Groupers, excellent for sandwiches and a bunch of fun to catch. 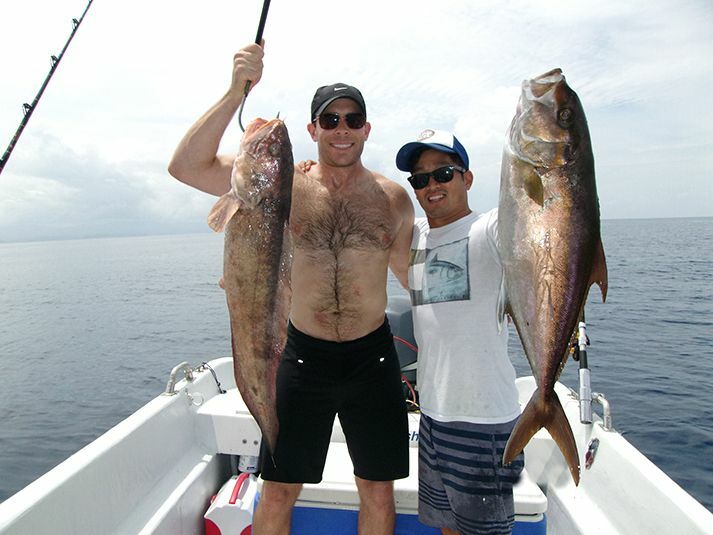 For the dinner table this group nabbed some filets from the top-shelf in the form of the delicious Congrio. 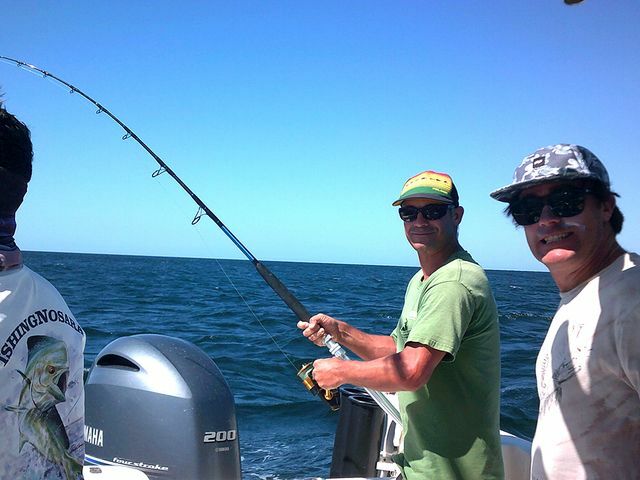 Captain David welcomed Carl Lindberg or Vermont for a very productive day of inshore filet gathering on March 9. 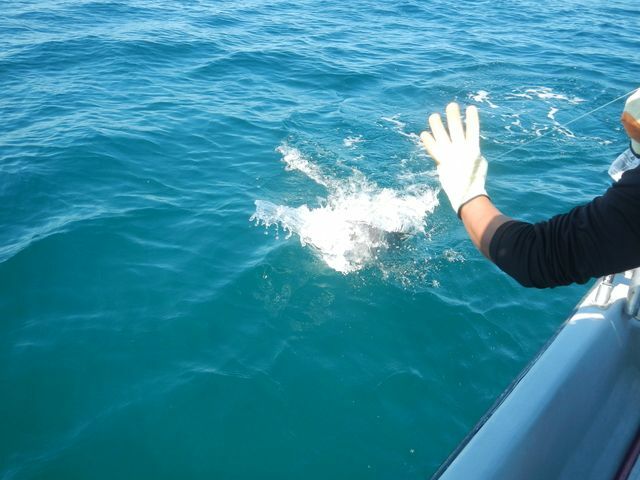 The highlight was the elusive Congrio. 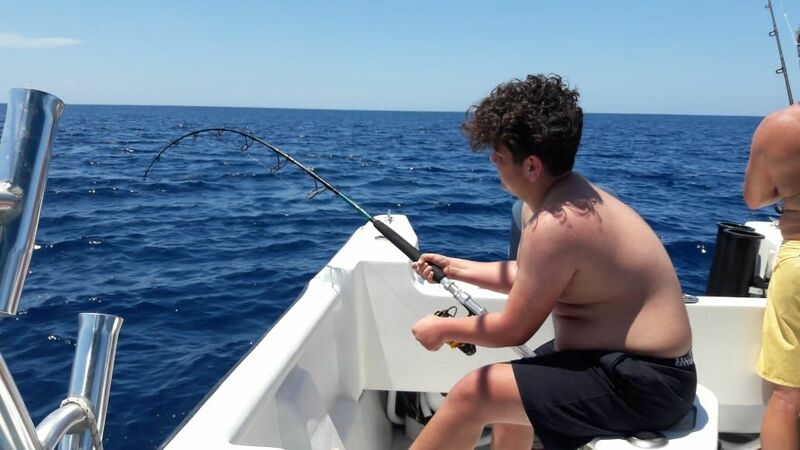 One of the few sea creatures that can swim backwards, this unusual fish/eel hybrid yields a tasty white fish that is similar to lobster tail…yummy! 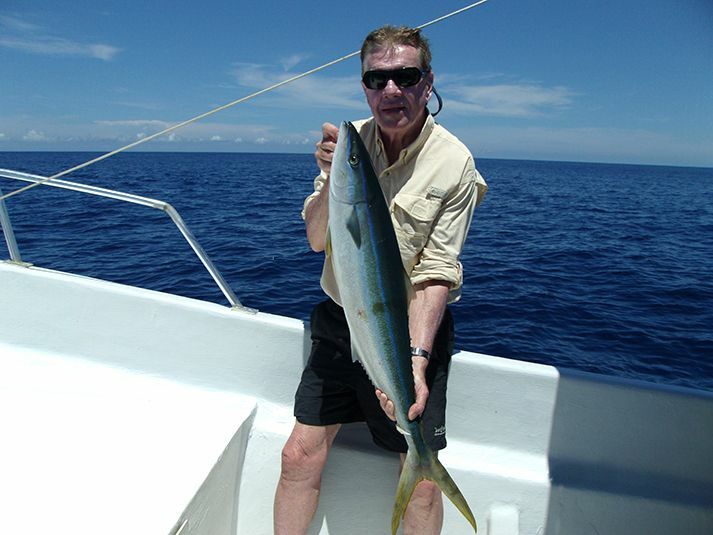 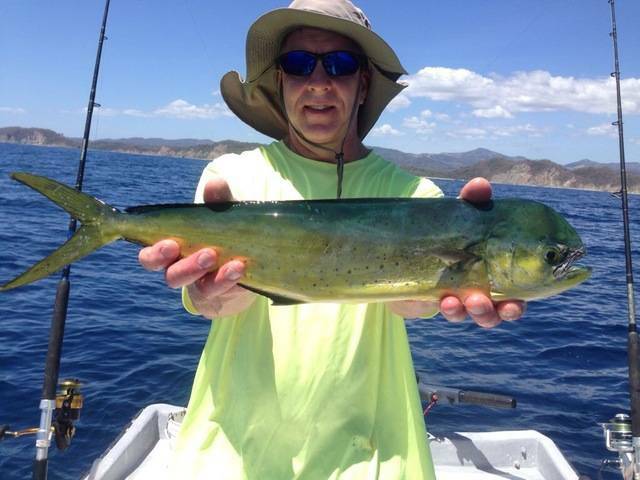 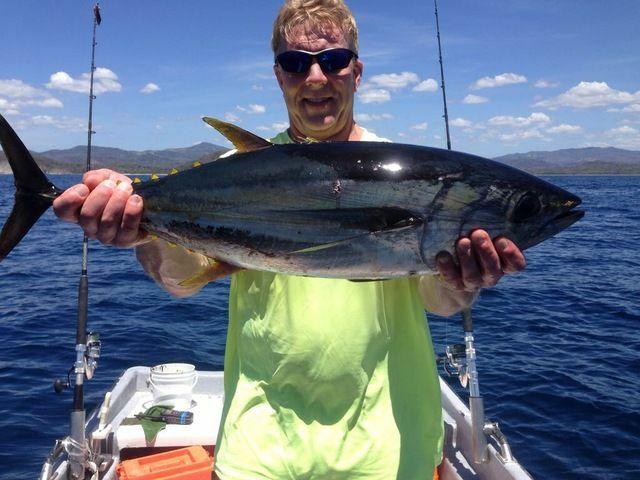 He also nabbed a sandwich-sized Dorado and a nice White Tuna. 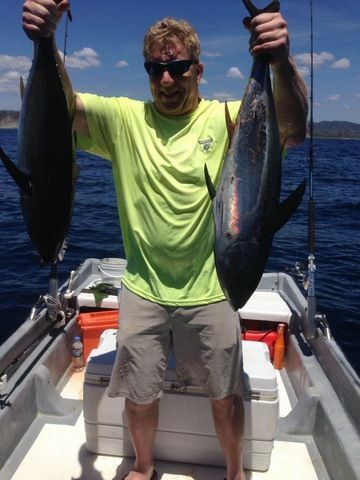 He finished off the day with a pair of big Yellowfin Tunas. 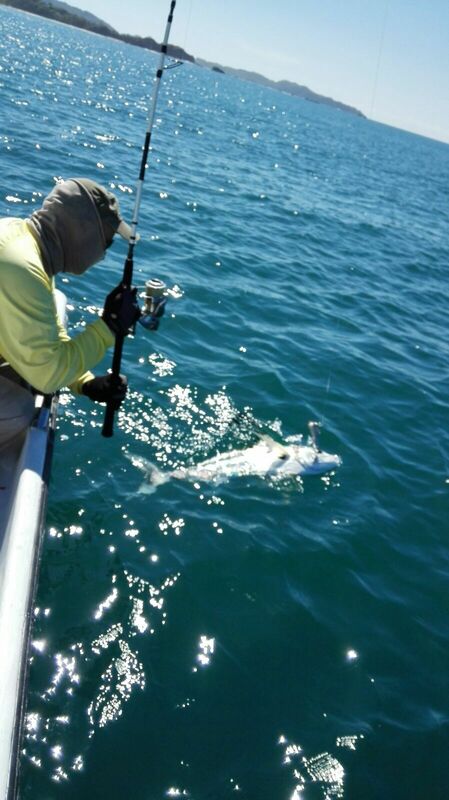 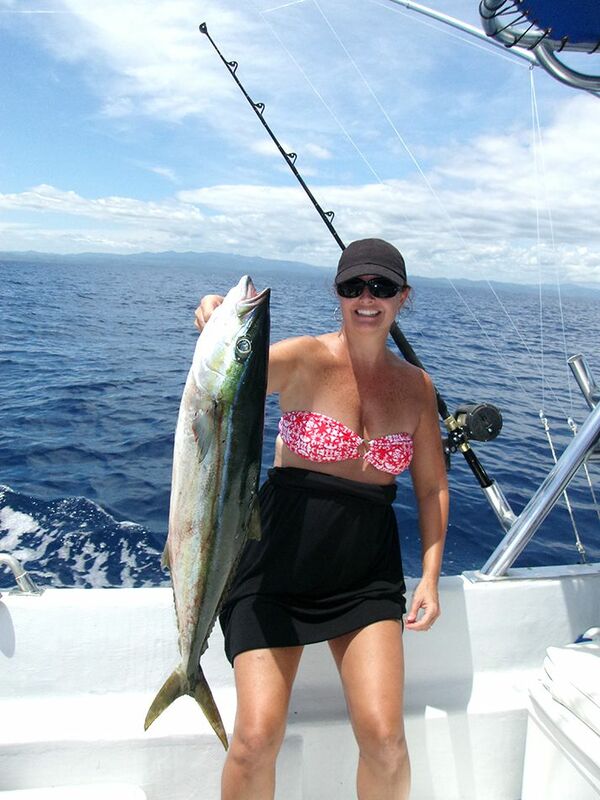 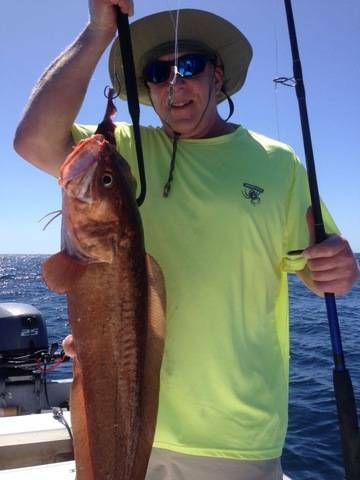 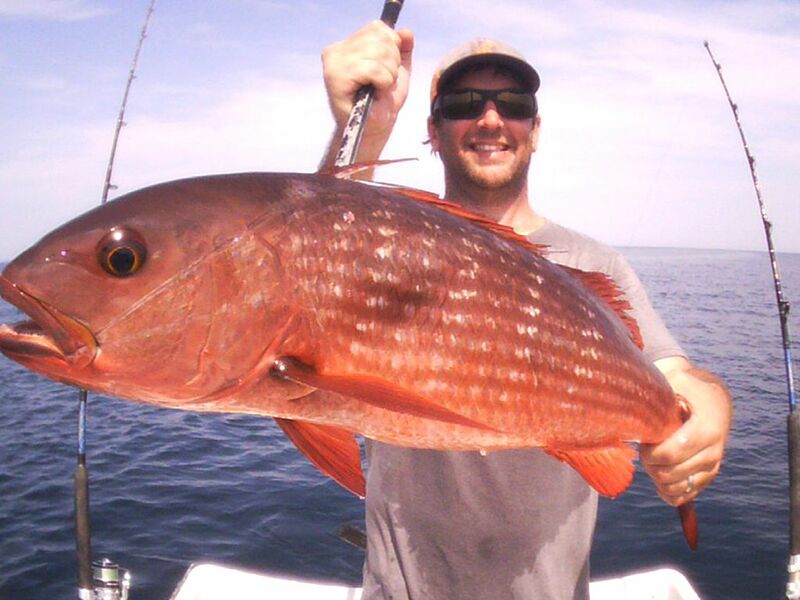 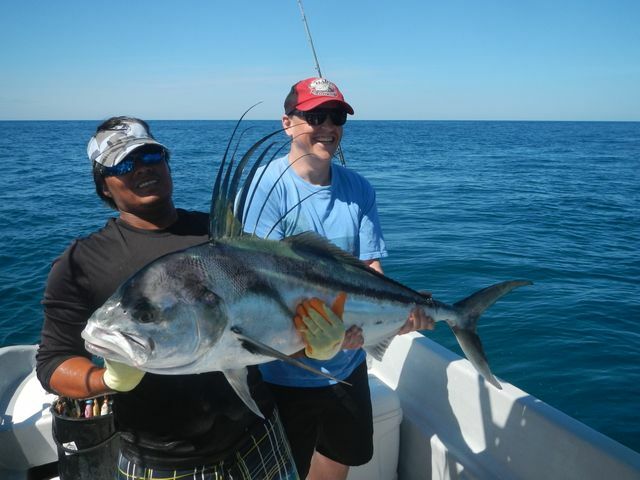 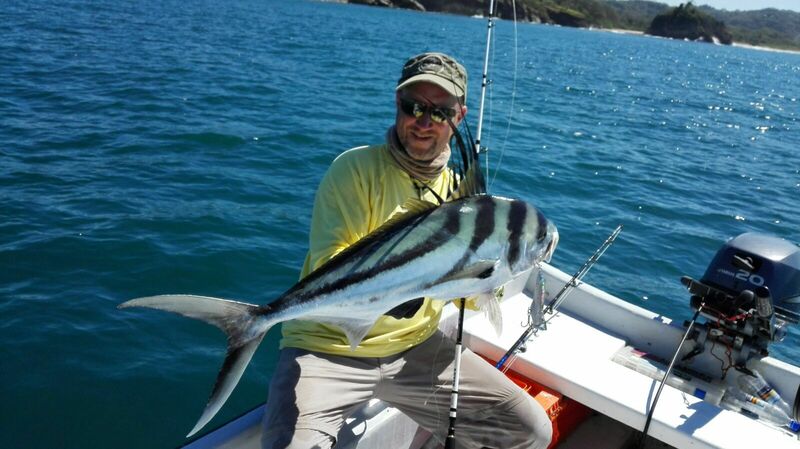 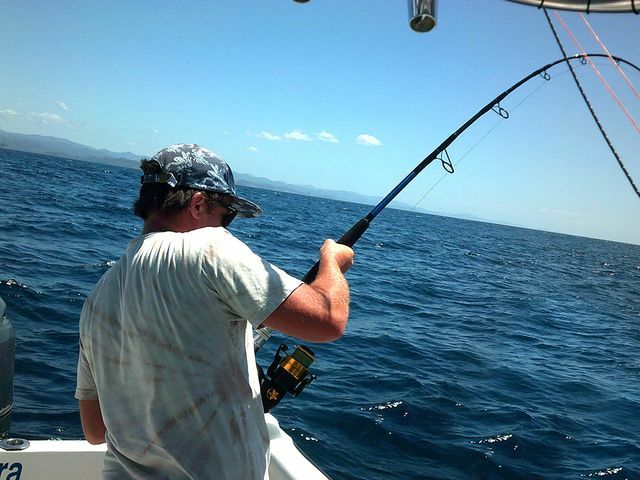 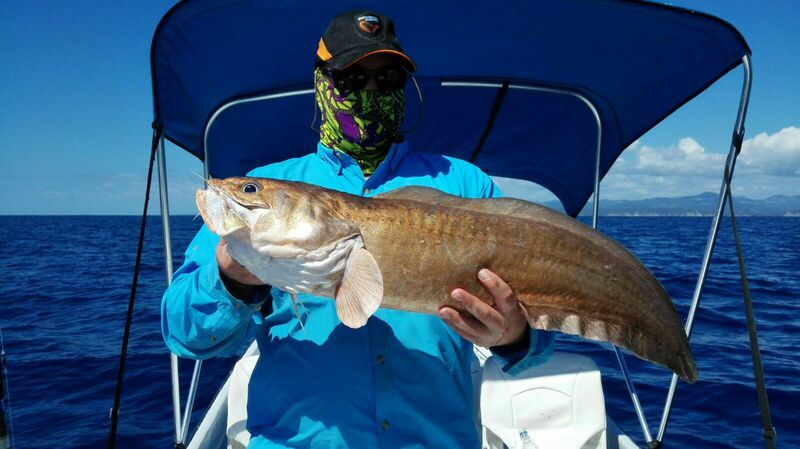 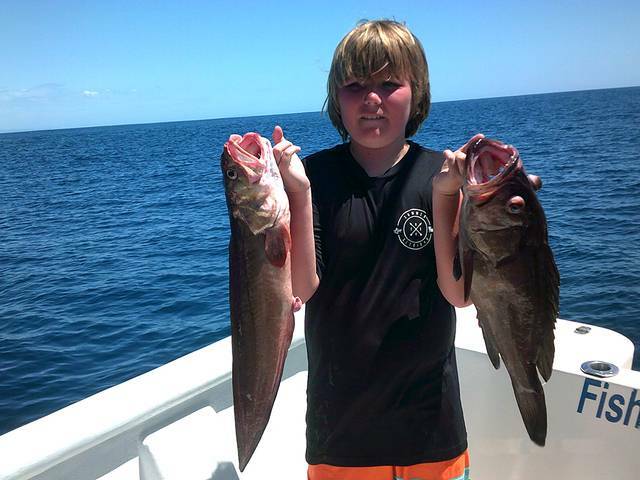 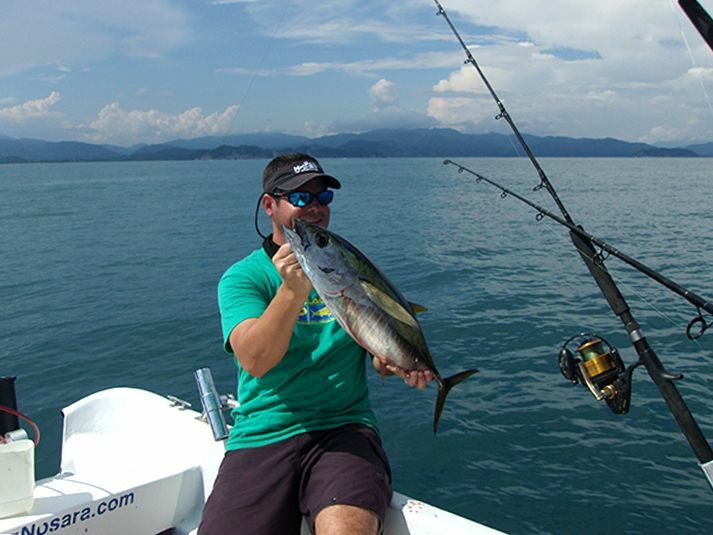 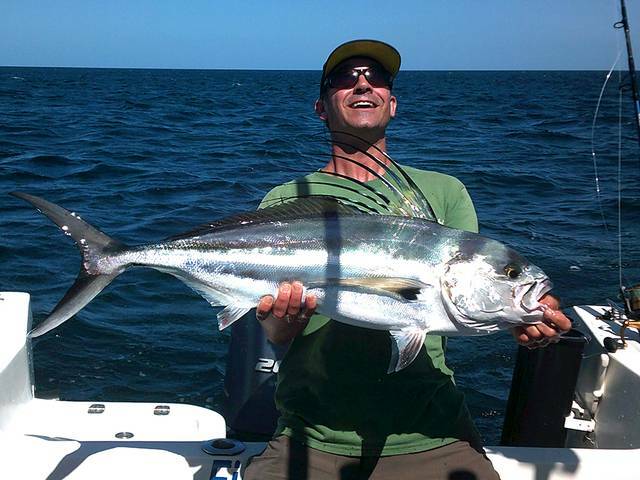 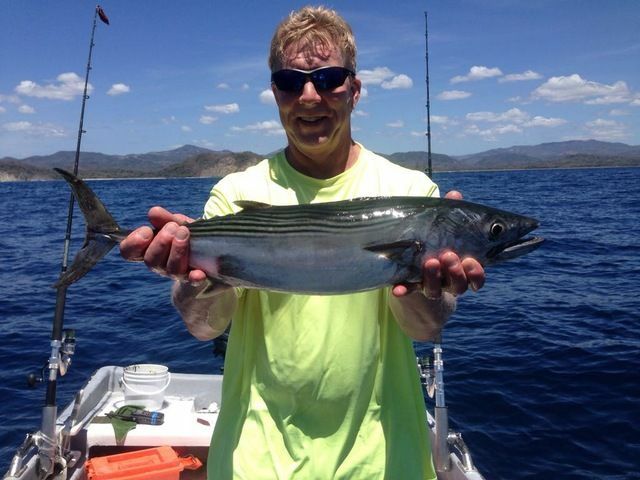 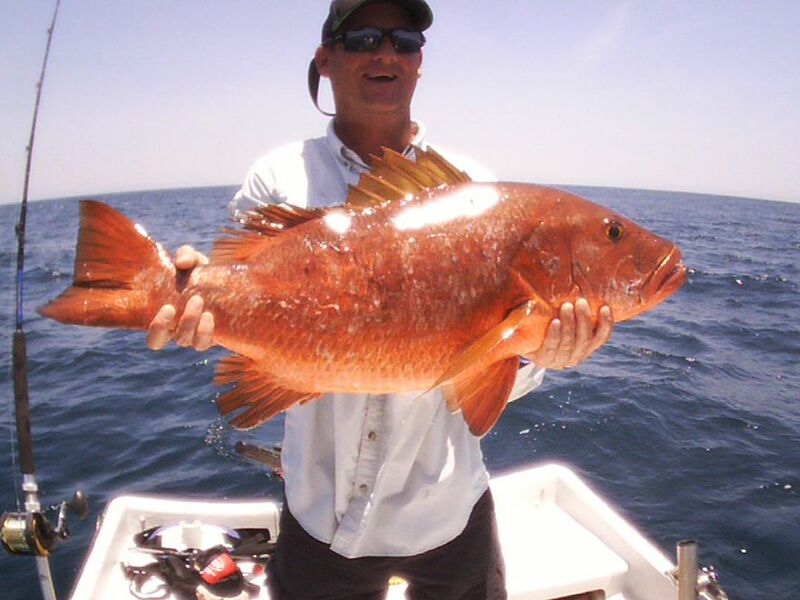 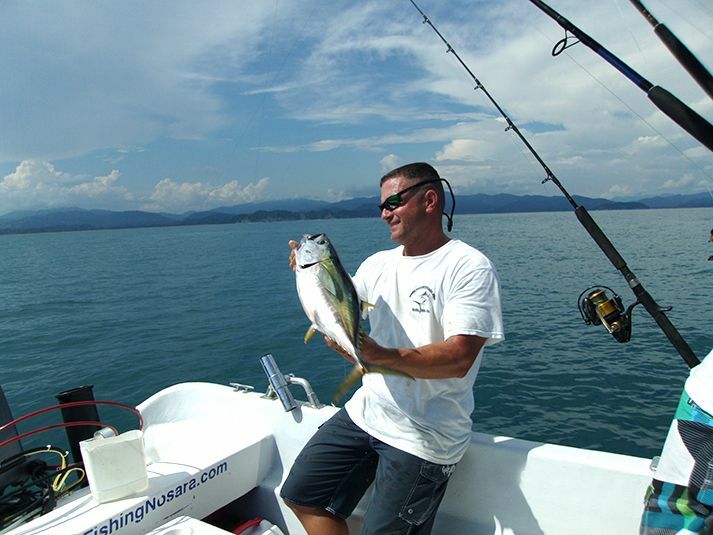 Captain Alex proved his inshore prowess on March 2 with a great variety of catches. 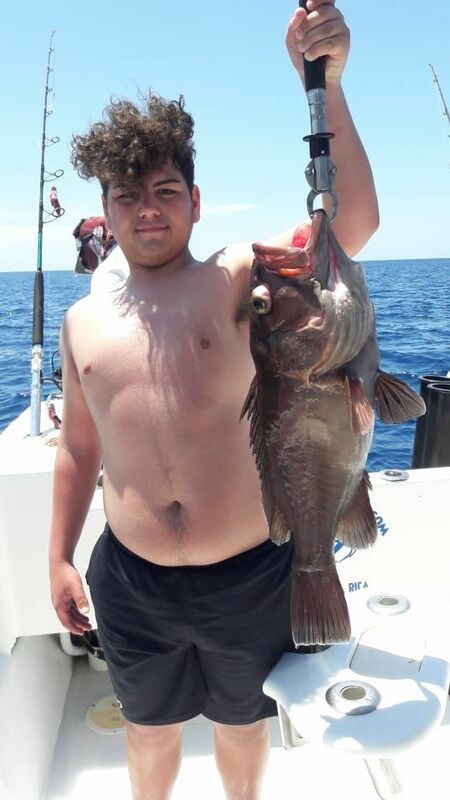 A pair of Rooster fish releases highlighted the action, but this group also added a nice Red Grouper and the elusive Congrio…a rare catch in our area that yield the best meat in the Pacific. 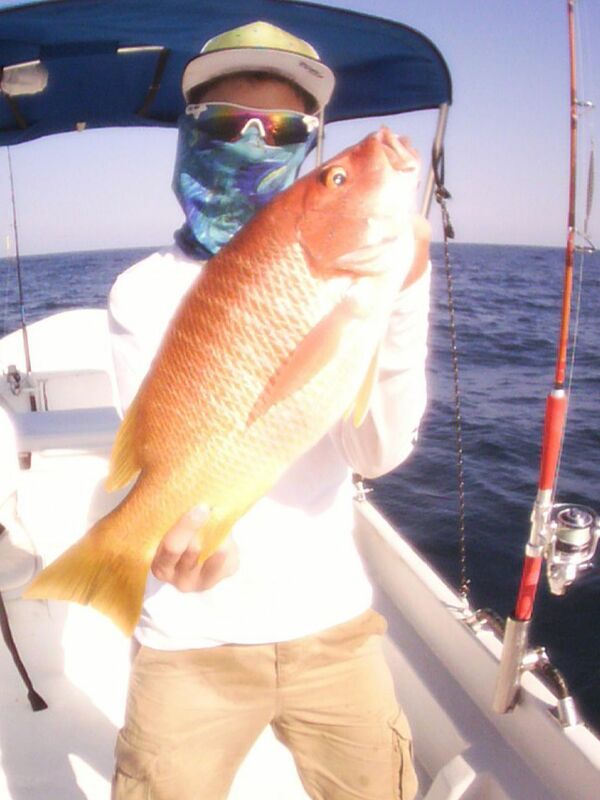 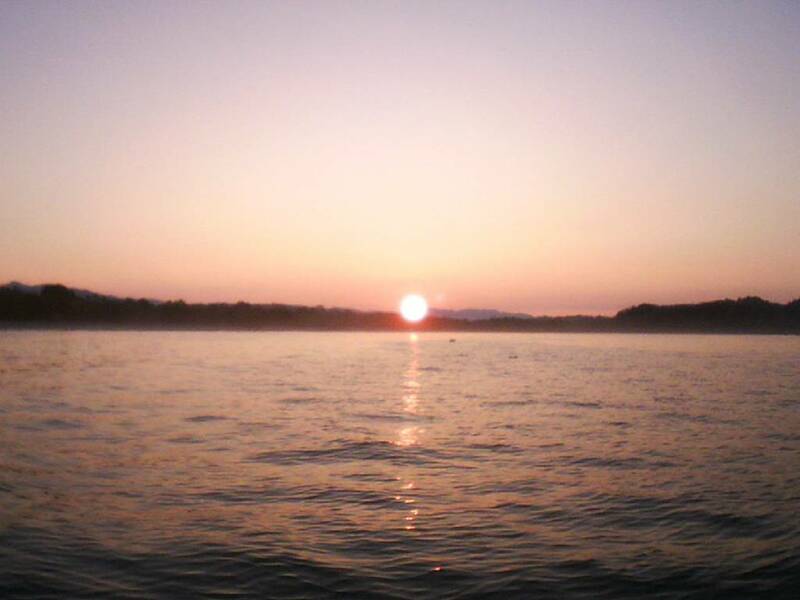 The sun rose on another great month of inshore action on the Adventurer. 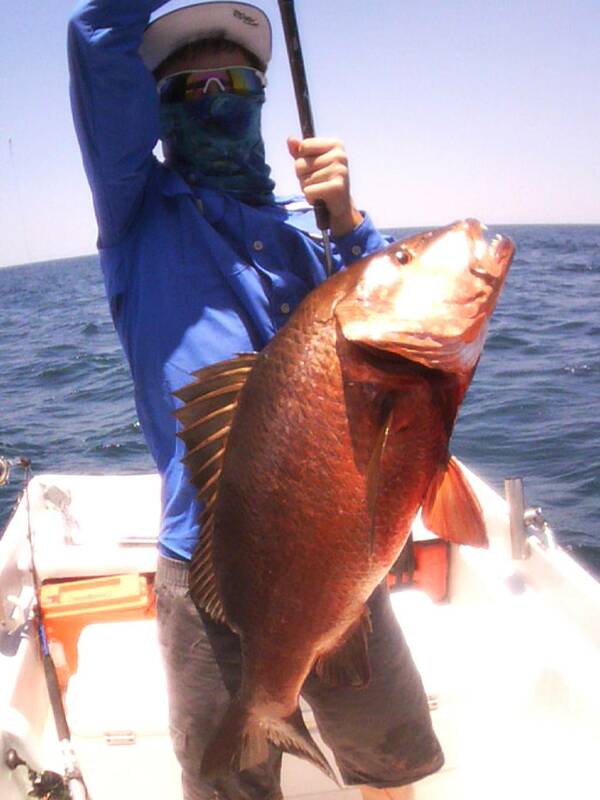 She scored the usual allotment of Cubera Snappers and Rock Snappers. 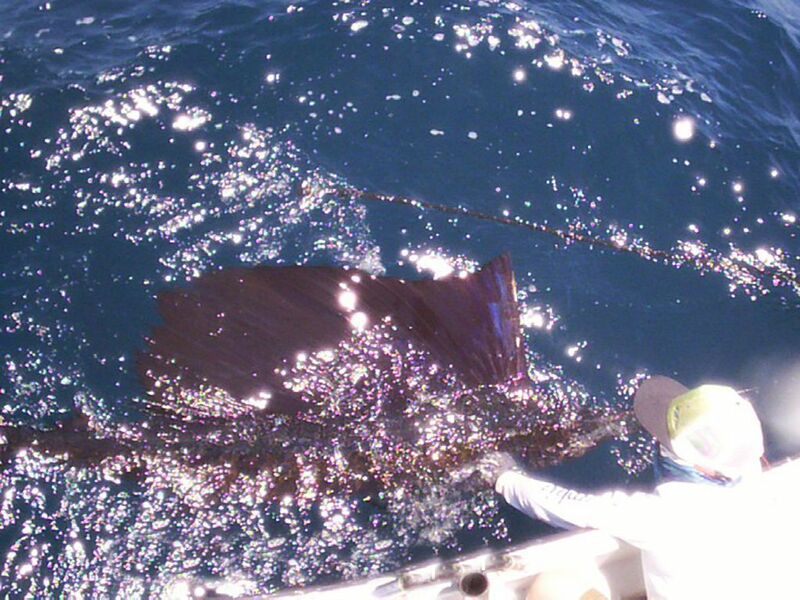 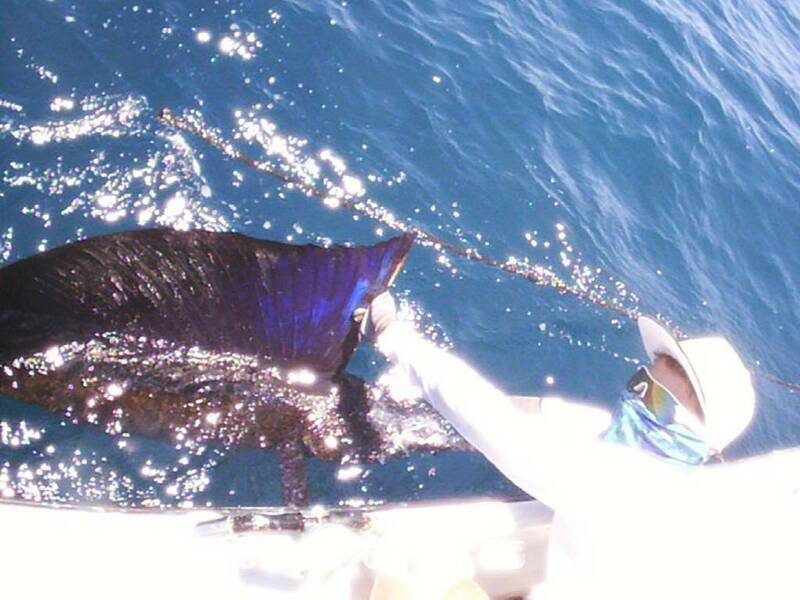 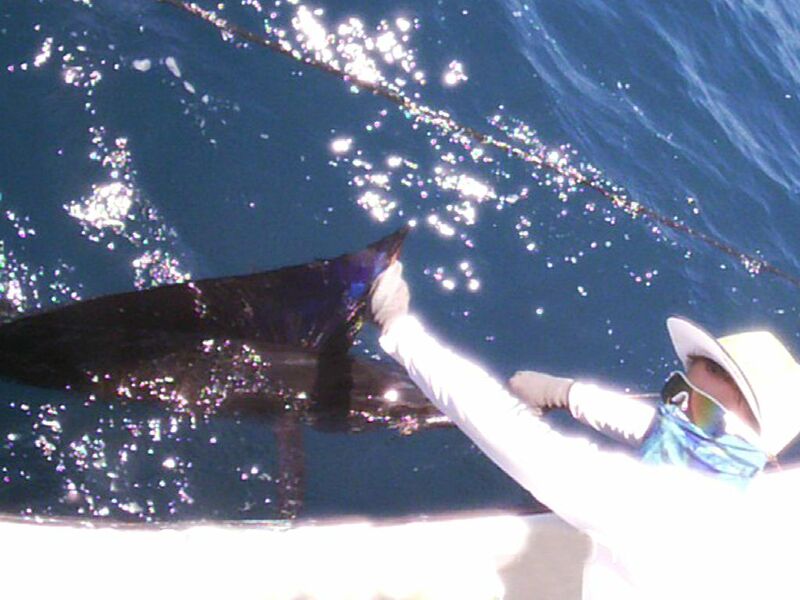 The highlight of the month was this nice Sailfish caught just five miles from shore. 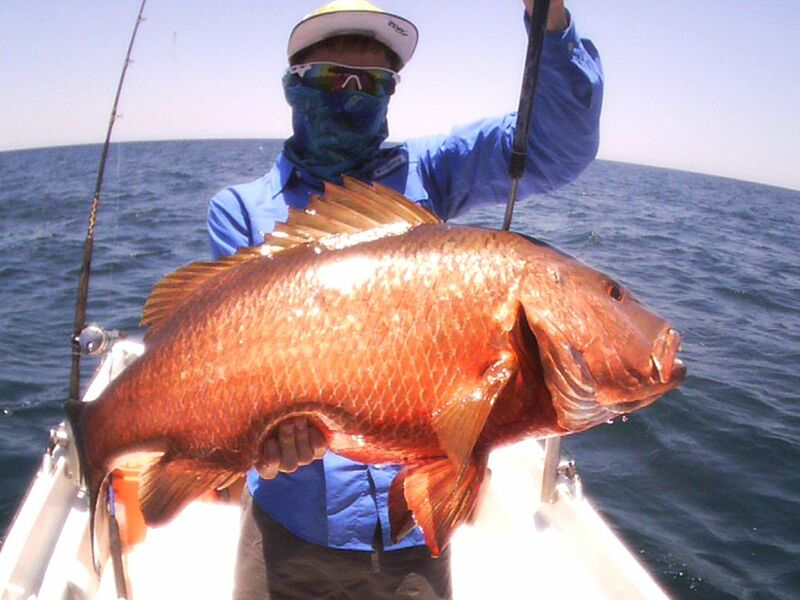 When the big fish wander too close the shore, the Adventurer will be waiting for them. 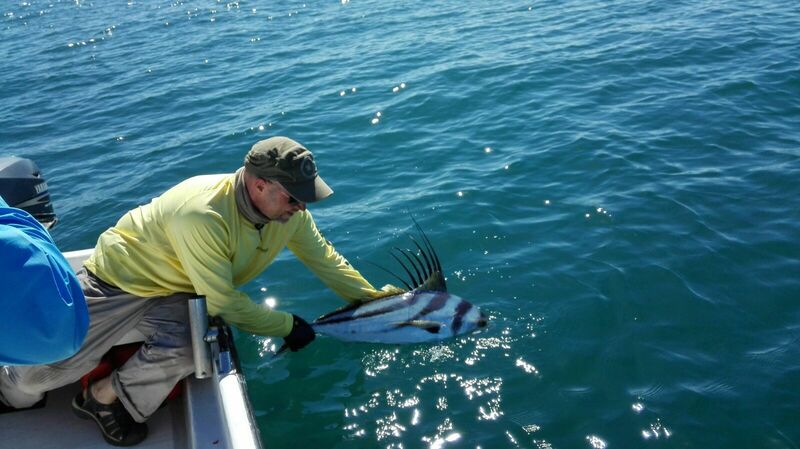 Great work on the catch and the safe release from the 23-foot pocket knife Adventurer. 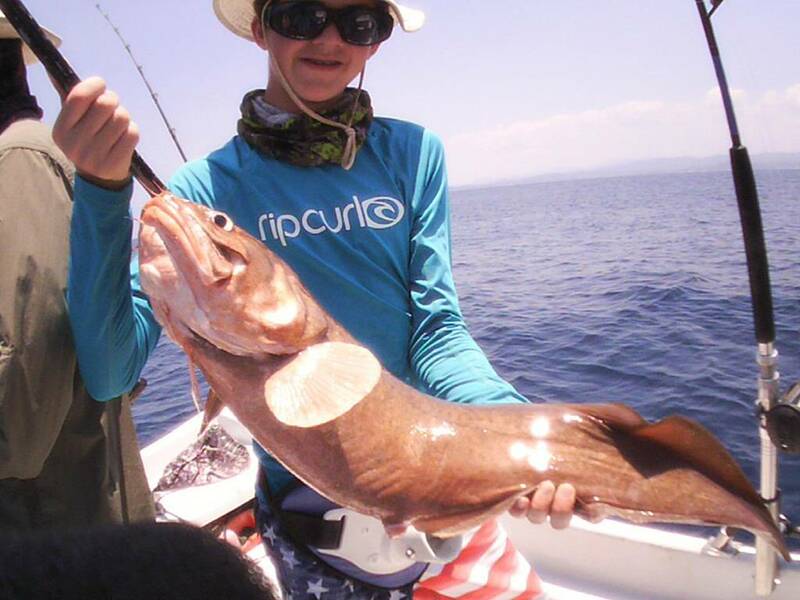 This hybrid fish/eel yields a white lobster-ish meat that is truly world class. 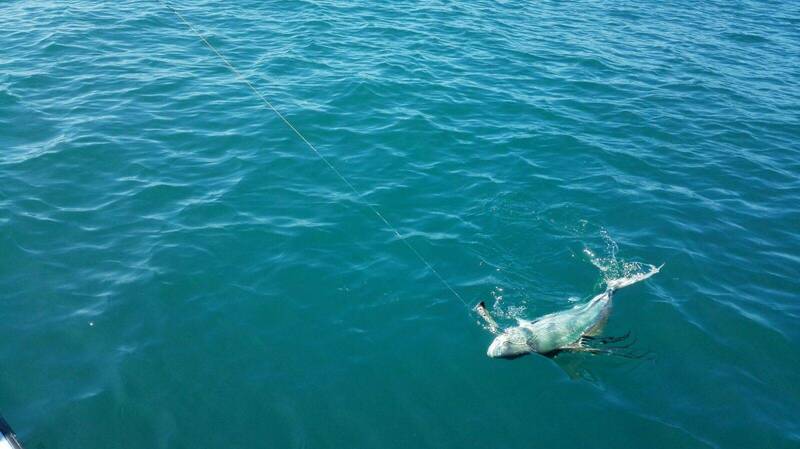 Also they are fun to fight because they can swim backwards. 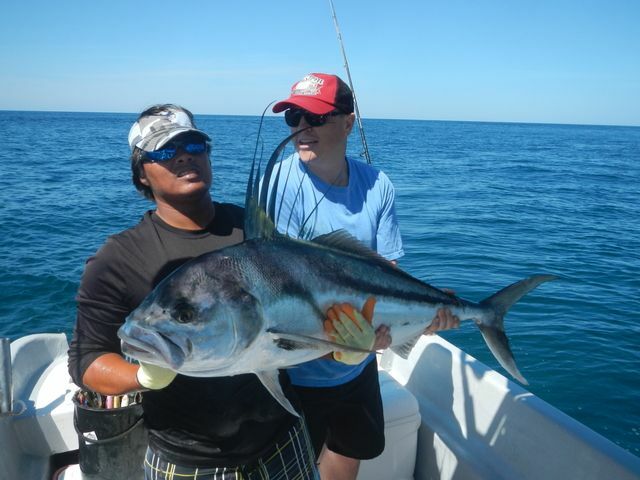 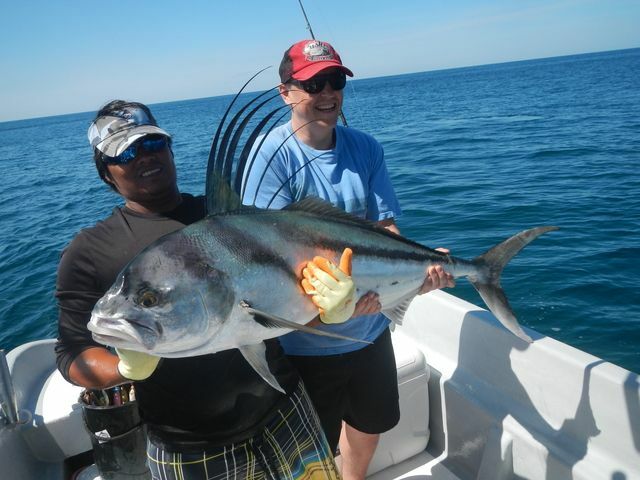 Later in the day they released a nice Rooster fish. 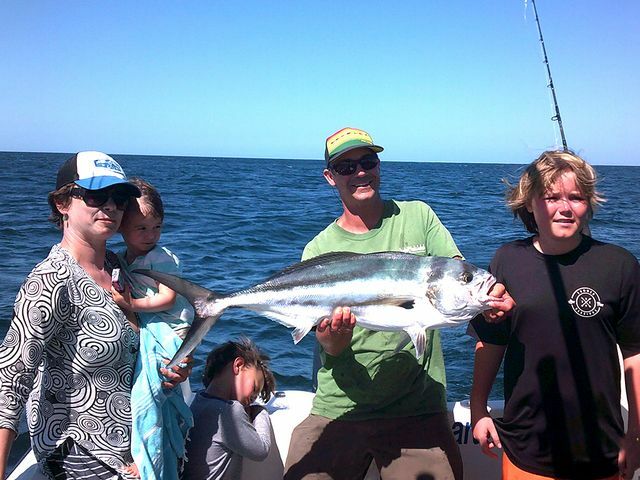 Another great day for Team de Wit and the Adventurer. 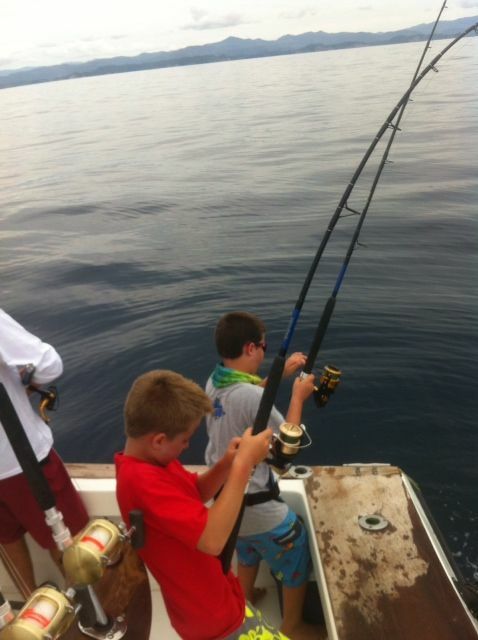 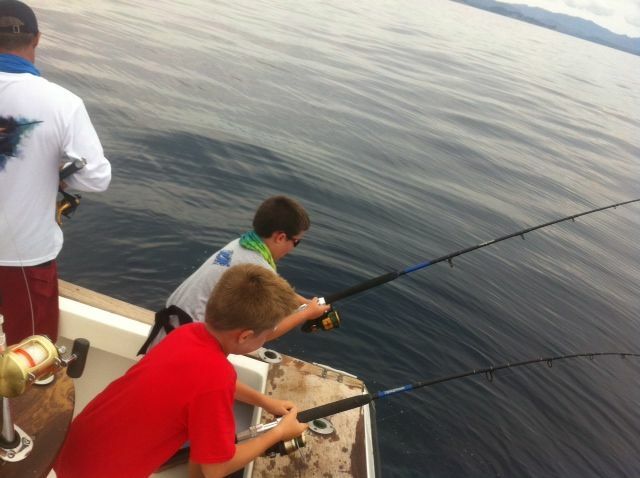 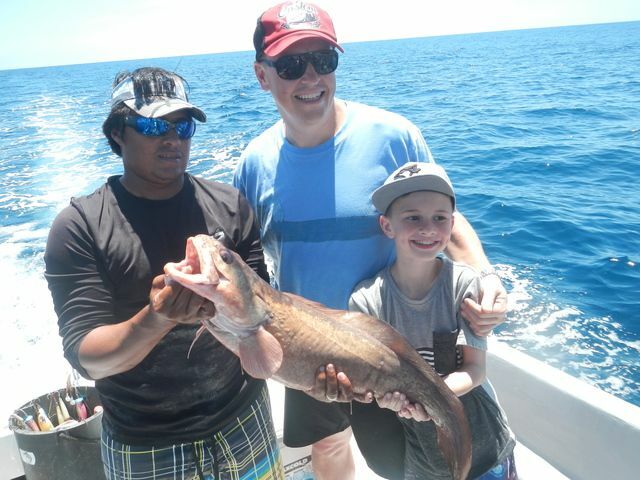 The big Battleship welcomed some little anglers for some fun inshore action on July 14. 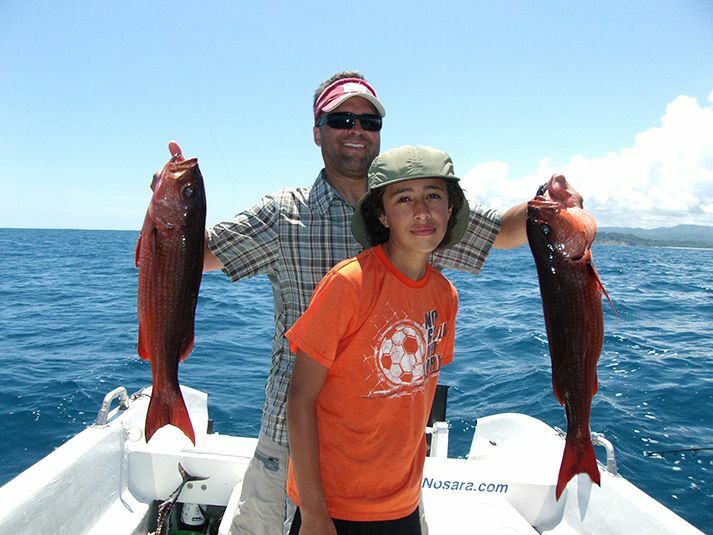 Captain David (a father of two himself) is an excellent teacher of the craft and the Discoverer is a great place for youngsters to catch the fishing bug. 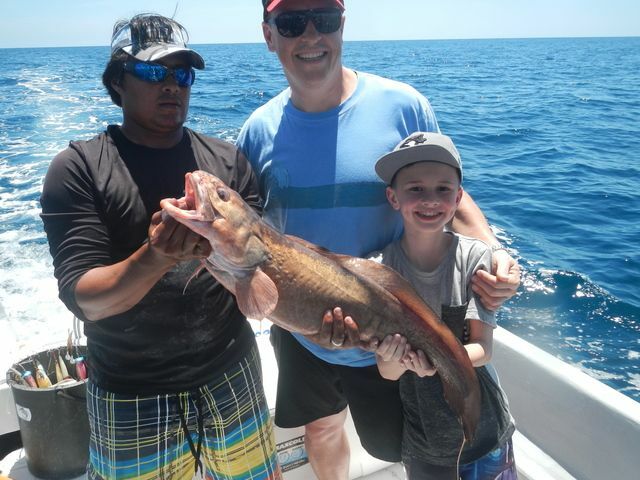 Nice work on these critters, especially considering it’s been years since we saw the elusive Congrio (the eel/fish hybrid held by the kid in the red shirt). 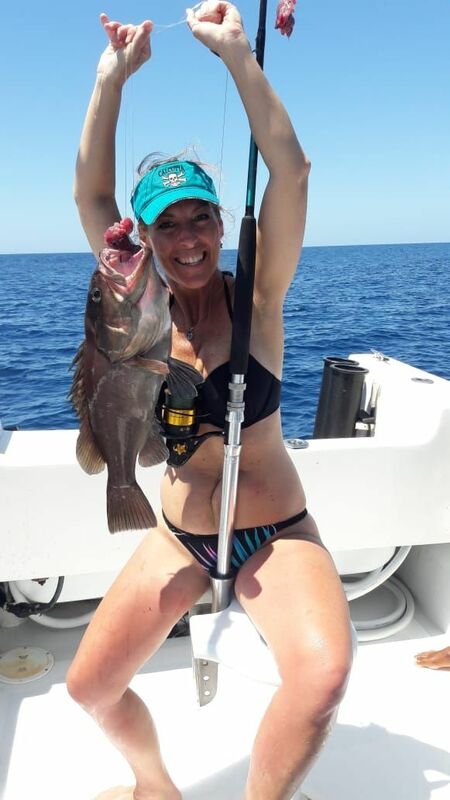 That is one tasty filet right there! 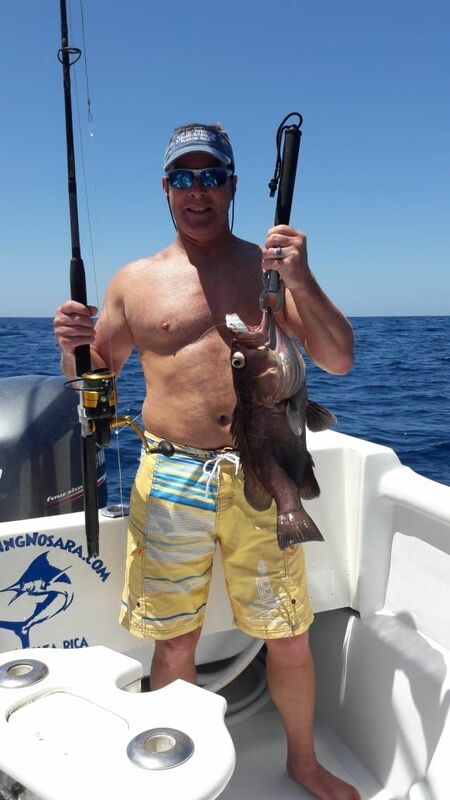 Steve Mullen is a tough-as-nails angler from Atlantic Beach, FL and a lifelong friend of Craig, even once serving as First Mate on the legendary Fishtastic. 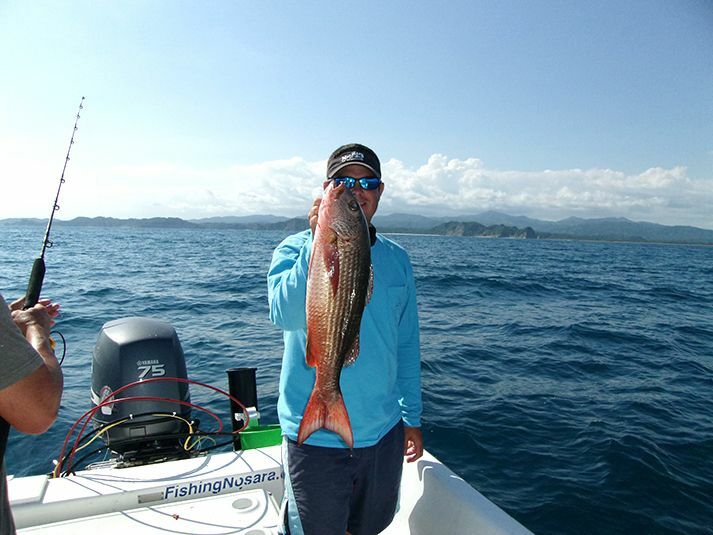 One year Craig and Steve fished 15 major tournaments, so it’s no surprise that Steve signed up for 5 straight days of fishing in Costa Rica. 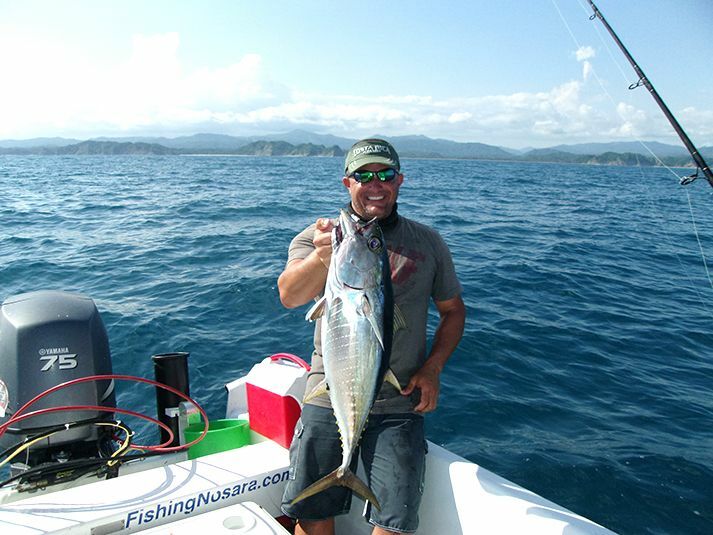 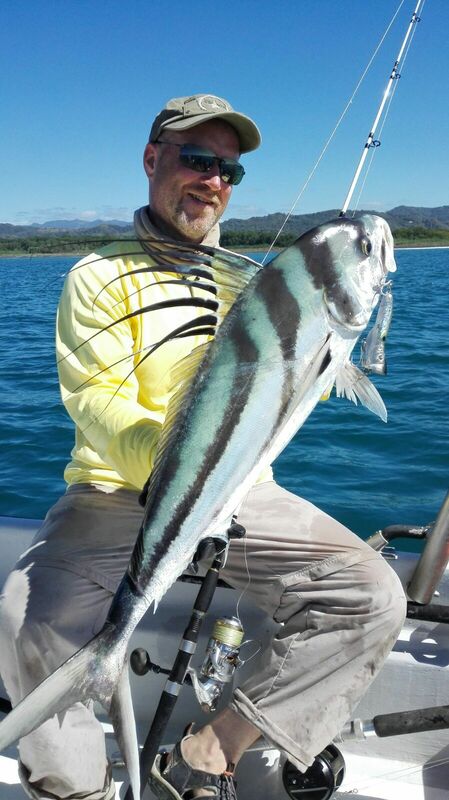 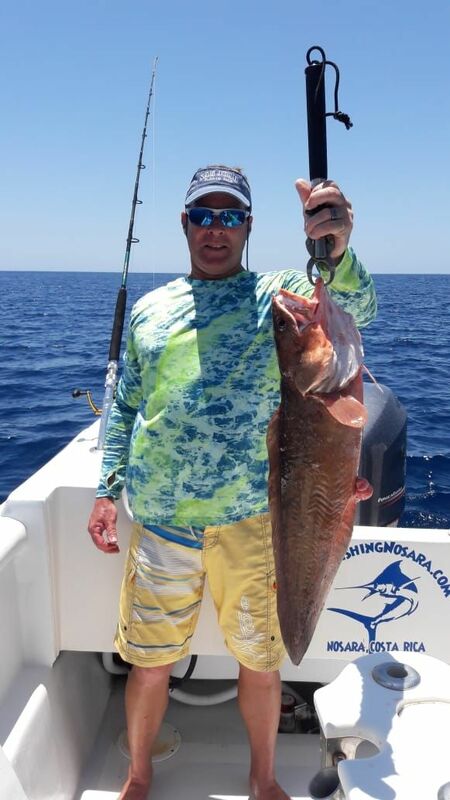 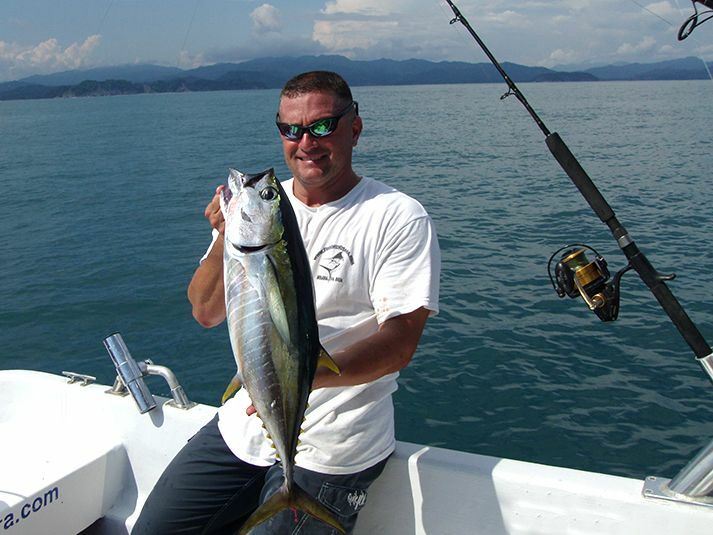 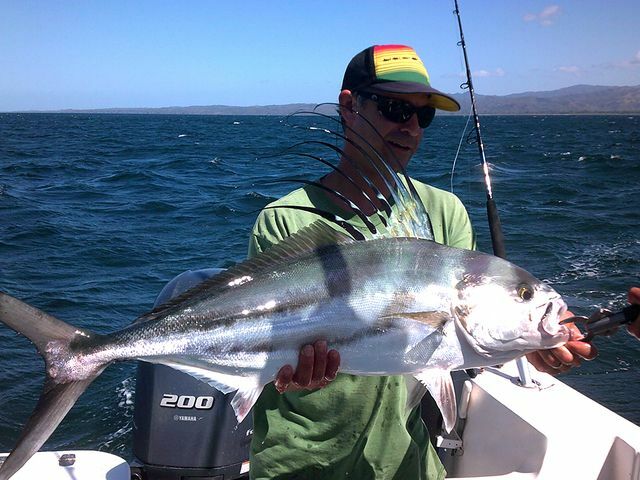 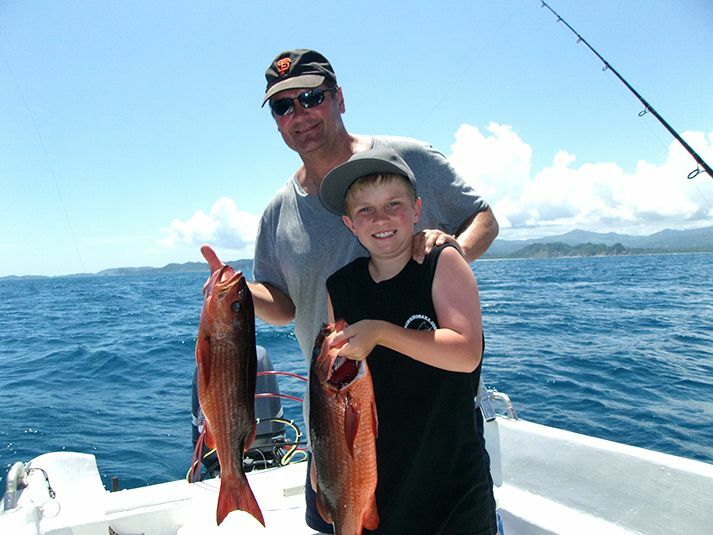 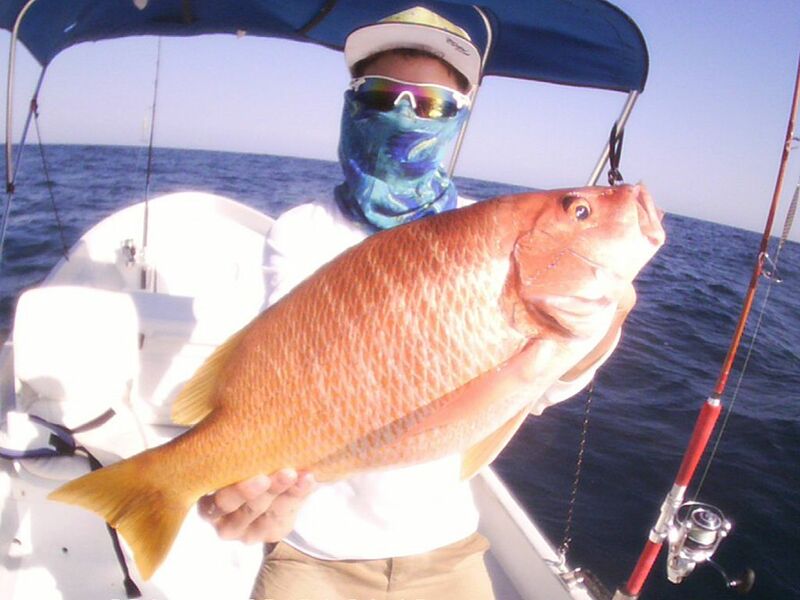 At long last he and his family have made it down to Nosara and they blistered a wide variety of inshore species with Captain Carlos on the barroom brawlin’ Explorer. 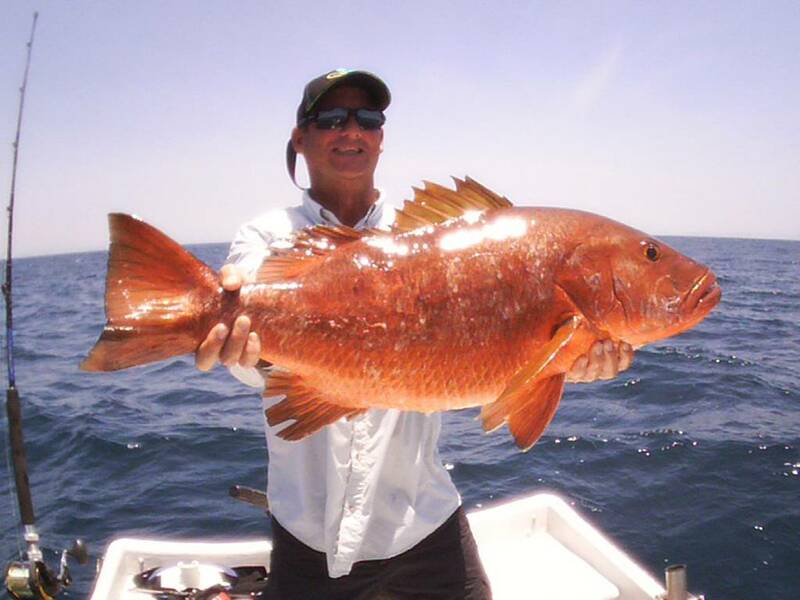 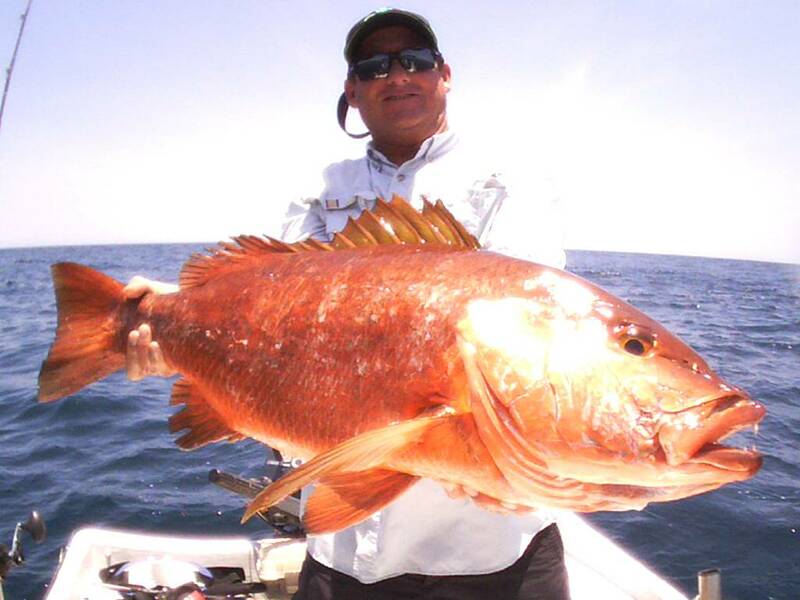 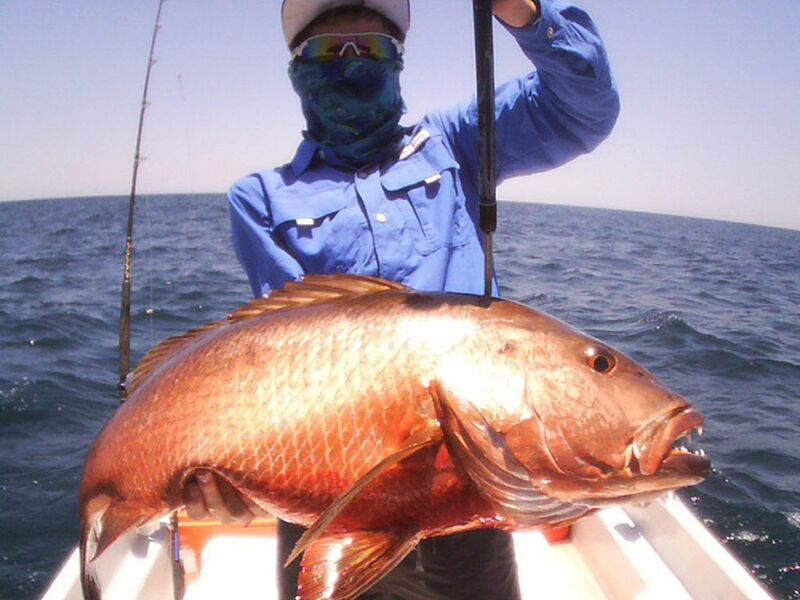 The IGFA World Record for this species is 37 lbs. 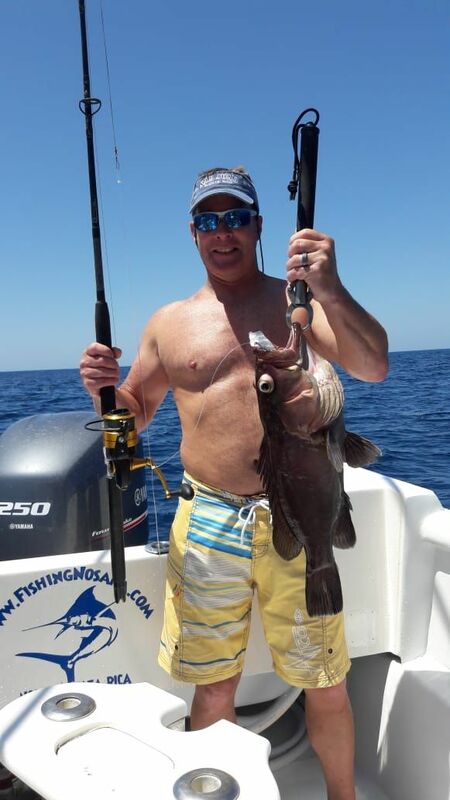 9 oz., caught back in 1991 by angler Tom Pfleger…all I can say is good for Tom that we don’t have and IGFA approved scale down here! 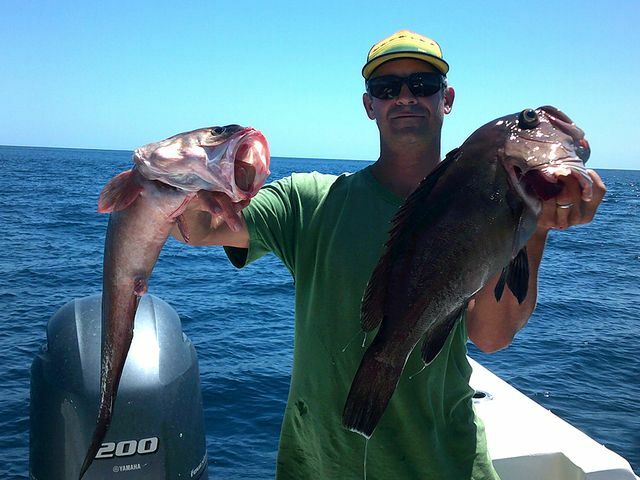 This oddball combination of eel and fish yields a Lobster-like filet that is arguably the best tasting thing to come out of the ocean. 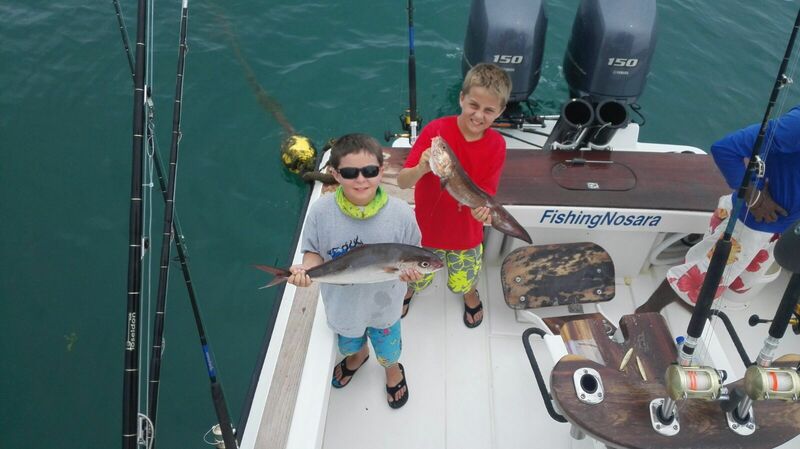 This crew had a blast and we can’t wait to see them again!